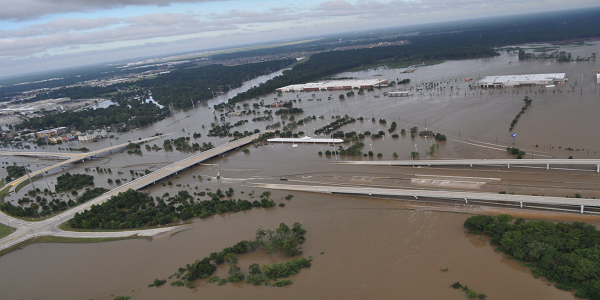 As Hurricane Florence barrels through the Atlantic toward the United States, it is easy to lose perspective on what the norm is for hurricane activity this time of year. That being said, it’s certainly not out of the ordinary to hear about a large number of storms churning out in the Atlantic Ocean in September. After all, it is the month of peak hurricane activity, which statistically occurs on September 10th. Now with the focus on Florence and two named storms trailing behind it, it is important to know that there are still two months of hurricane season left that can easily disturb any late-season vacations to the Caribbean or the Florida coastline. Compared to 2017, we’ve had a relatively quiet first half of the 2018 hurricane season. Up to the close of this August we only had six named storms, two of which achieved hurricane status. This may seem light in comparison to last year’s count where at the start of September we had already crossed nine names off the list, four of which were hurricanes, including the infamous Hurricane Harvey. While the season is undoubtably heating up, what were the contributing factors to our lack of development so far? Well one of the biggest players is the slow change in the ENSO (El Niño Southern Oscillation), which is a periodic fluctuation in sea surface temperatures and the overlying air pressure across the equatorial Pacific Ocean. Over the past few months we have gradually trended away from the long lasting La Niña and currently find ourselves in a more “La Nada” or neutral condition, which is likely to head towards a weak El Niño during the fall months. This alone can influence the storm development in the Atlantic, generally leading to fewer hurricanes. Another contributing factor to storm generation is the Sea Surface Temperature (SST). So, we must consider the SST anomalies in the Main Development Region (MDR) spanning across the tropical Atlantic and Caribbean Sea. During this past June and July, we have seen a cooler SST anomaly across this region (roughly 0.6°C below average). Much of this is due to the presence of stronger low-level northeasterly trade winds, which funnel in a cooler, drier and more stable air-mass again leading to less tropical activity in the Atlantic. While this promotes minimal development in the MDR, the Atlantic SST's have trended anomalously warm off the eastern US coast. This has created a more hospitable environment for tropical development near the eastern seaboard and a more favorable region to maintain systems (like Florence). 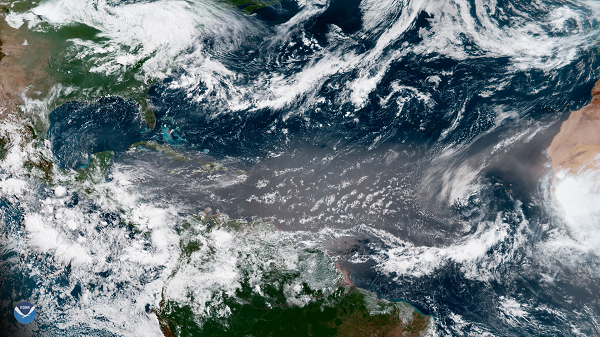 Finally, we can’t forget the impact of the Saharan Air Layer, which can discourage development of any disturbance spinning off the western African coast with its extremely dry air. This past June, dust concentrations measured among the top 10 highest levels recorded over the last 15 years. Even with all of these limiting factors in place, we now enter the most active part of the season with three named hurricanes already this month (as of Sept. 11th) and an expected landfall of Hurricane Florence in the Carolinas. 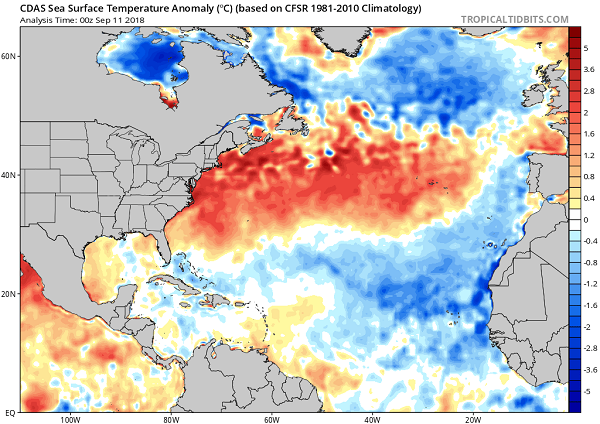 Both temperature and moisture are on the rise in the Atlantic and the reduction in wind shear has helped to support the longevity of these disturbances that begin the journey from the African coast, giving a higher risk for an eastern U.S. coastal impact. But at the end of the day, the onset of the coming El Nino will help to mitigate the overall activity with a near or below-average season expected. Unfortunately, it only takes one major storm to make a season memorable, and in that respect, this season is no different from the last.